Most people ride in a car on a daily basis. Unfortunately, auto accident statistics show that every time drivers or passengers are on the road, they are at risk of being involved in a car accident. These statistics shouldn’t stop people from living their lives, but they should serve as a reminder that extreme care and caution should be taken any time you’re operating a motor vehicle. Car accidents can cause serious personal injuries and lead to significant financial losses. Some circumstances increase the risk of a car accident even further, such as driving at night. Auto accidents and night driving can result in damages for our Salt Lake City, UT clients. Attorney Lynn Harris fights to ensure that those liable for car accidents are held accountable, and that accident victims are justly compensated for their losses. Poor visibility: A lack of light compromises visibility for drivers. Light is necessary to allow the eyes to create a clear, focused image. Since the sun is the largest light source, drivers are at a distinct disadvantage once the sun sets. Headlights and streetlights are meant to provide light and increase visibility, but instead these bright, unnatural lights can be blinding. The eyes have difficulty functioning properly when they are going back and forth between darkness (the night sky) and brightness (headlights or street lights). Drowsiness: Drowsiness can also be a problem at night. When a driver is traveling at night, they are more likely to be feeling tired. Falling asleep at the wheel is a concern, but even if a tired driver manages to stay awake, their reactions and instincts may be impaired. Drunk driving: Driving under the influence of drugs or alcohol is one of the most reckless actions a driver can take, and it significantly increases the risk of an auto accident. While a person can be under the influence at any time of the day, statistics show that there are more drunk drivers on the road at night. 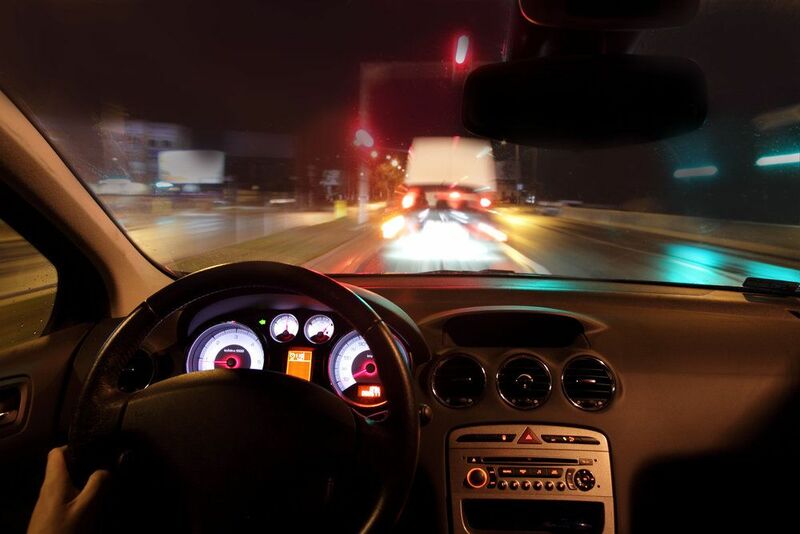 Knowing the risks of night driving, it is especially important for drivers to be cautious and remain aware of their surroundings. When driving at night, it is important to keep an appropriate distance between your vehicle and others, limit distractions, and always take a break if feeling tired. Victims of car accidents deserve to be compensated for damages such as medical expenses, lost wages, and pain and suffering. Unfortunately, insurance companies often deny liability or offer minimum compensation for damages. That is why it is important for car accident victims to work with an experienced attorney, such as Lynn Harris, who is prepared to fight to protect their rights. If you’ve been involved in a car accident and would like more information about how attorney Lynn Harris can protect your rights, contact as at your earliest convenience. We look forward to working with you to help you receive the maximum compensation you are due for damages suffered.